Wes Anderson’s The Grand Budapest Hotel abounds with madcap energy, whimsy, and dark comedy. But RogerEbert.com critic Matt Zoller Seitz also detects a deep sadness that he explores in a new video, embedded below. Seitz’s The Wes Anderson Collection is a great overview and examination of Anderon’s work, benefiting from amazing access to the writer/director along with production materials from his films. 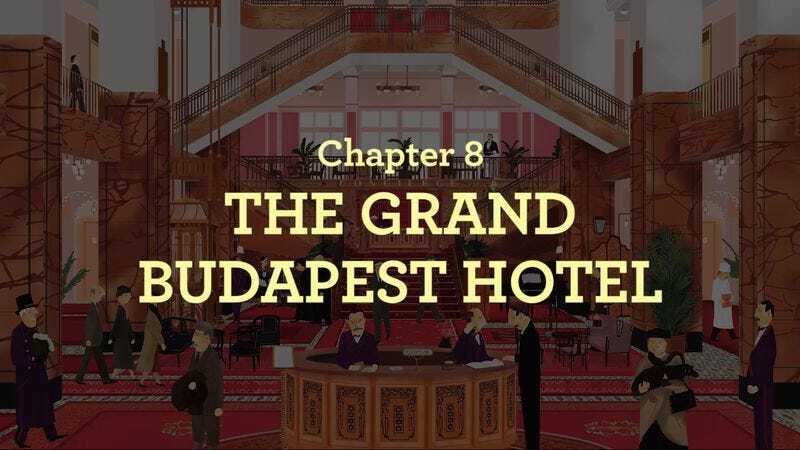 That book came out before Budapest was released, but Seitz is adding onto it with a Budapest-focused follow-up—consider this video a preview of that tome. The video is an intricate look not just at the film itself but also its influences and the dark themes that run through the film—indeed, through Anderson’s career. Seitz notes how artifice and art both play an important part in preserving legacies and allowing the characters some measure of control in a chaotic world. It’s an intriguing, well-made assessment that shines a new light on Anderson’s latest work.